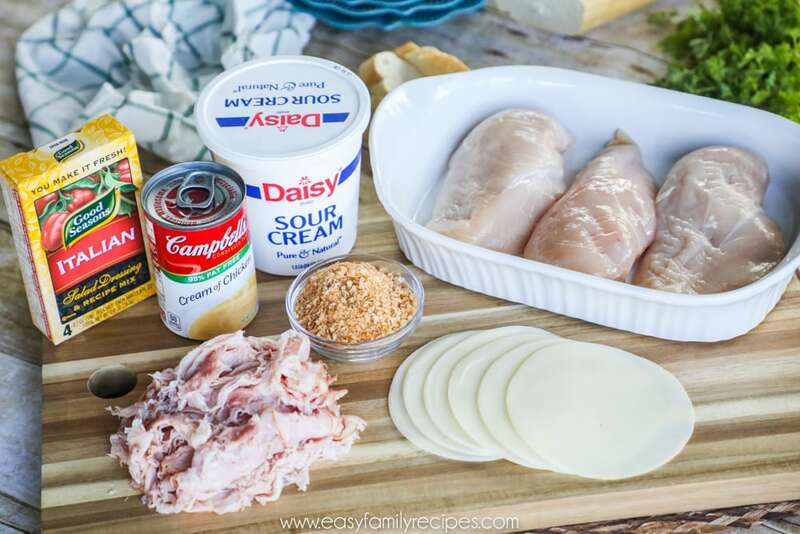 The best and easiest Chicken Cordon Bleu Recipe in the Universe! Greetings to all fellow home cooking chefs here on the East Coast of Africa and Around this beautiful world we live in. 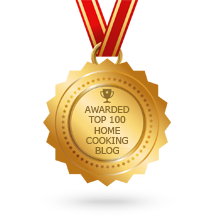 Today I thought we can show you a classic Chicken Cordon Bleu recipe with a tasty Hollandaise sauce. (See ingredients and directions for Hollandaise Sauce at the end of recipe ). But before we start I would like to tell you how the Name Cordon Bleu, steeped in history, came about. 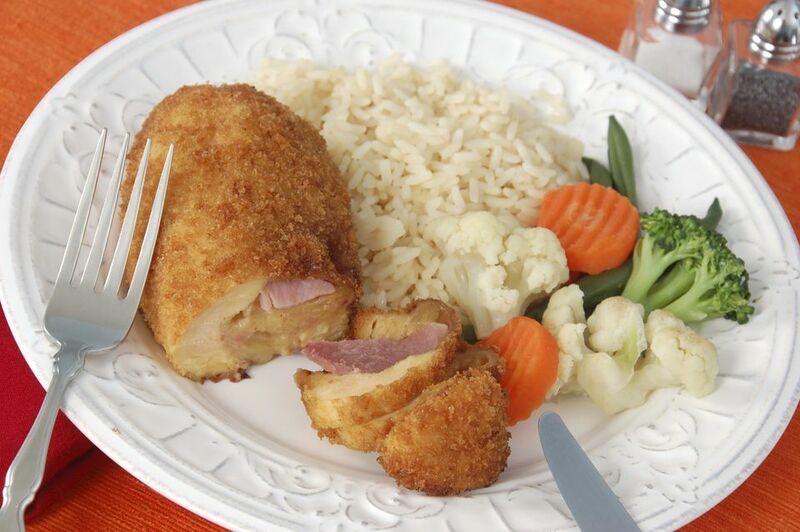 “Cordon bleu” refers to a special order of French knights and literally translates to “blue ribbon. In 1578 Henry III of France established the tradition of the highest order of knighthood bearing a blue ribbon. France created the l'Ordre des Chevaliers du Saint Esprit (Order of the Knights of the Holy Spirit). So how did it relate to food, you ask? After every ceremony these Knights had with highly respected guests, there were huge sumptuous feasts held in their honor that became legendary. It is believed the name of the knights then became synonymous with the food prepared for their events. Over time, it became a symbol of prestigious quality. 4 chicken breast fillets skinned. Butter and Oil for frying. 450grams/1lb butter heated until softened. "It's time to start A Cooking"
Cut the chicken fillets in halves horizontally, take care not to cut all the way through. Open chicken fillets ,cover with cling wrap and flatten the fillets with your hands. Remove cling wrap and season lightly with salt and pepper. Wrap the chicken fillets with the help of a string. Dip fillets in the whipped egg and then the bread crumbs. Heat the oil and butter in your frying pan. Remove fillets and string and transfer to your oven pan lined with baking paper. Bake for 20minutes until cooked and nice and juicy. When cooked place fillets on paper towel to drain. Place baked fillets in a glass serving dish and pour you Hollandaise sauce over it. Makes one feel good Hey. 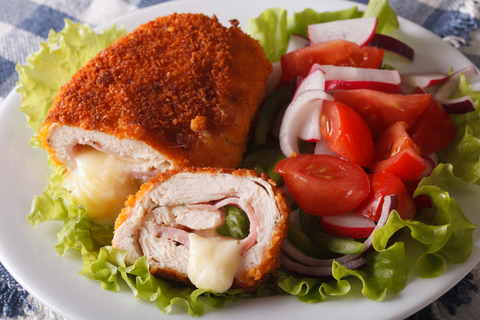 There are many ways of presenting this Chicken Cordon Bleu and I have mentioned a couple below. Creamy mash potatoes and mixed veggies. Roasted Asparagus and Hollandaise sauce. Creamy mash potatoes, peas and corn kennels. On a hot day with cold salads of your choice. Above are just a few plating ideas I'm sure you can come up with other ideas, if you do please share with us..
Place egg yolks in food processer. Add pinch of salt, white pepper, paprika. Add the warm butter and slowly process until it thickens. To thicken sauce you can add another egg yolk. To thin it out add warm water.